Plenty of homes have tangled nests of power cords just waiting to catch fire. 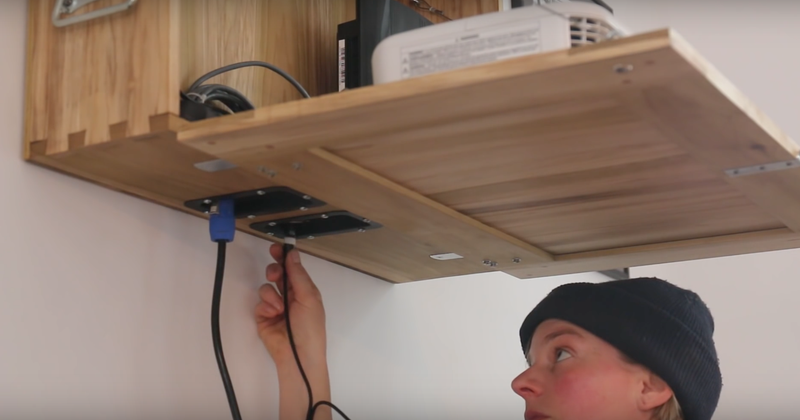 To combat this domestic blight, Laura Kampf crafted a simple projector cabinet that both obscures cords and looks plain awesome. Kampf, whose creation began as a rough sketch, starts with the basics— she measures, cuts, and sizes the lumber as she whittles it down to the correct shape. 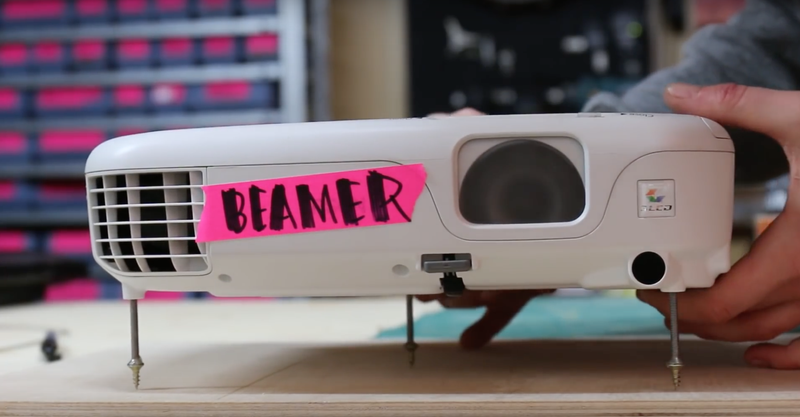 She also superglues the nails together so that the projector, labelled “Beamer,” could be securely attached to the cabinet. Now, if only Kampf would make one for us so we don’t risk losing a finger.